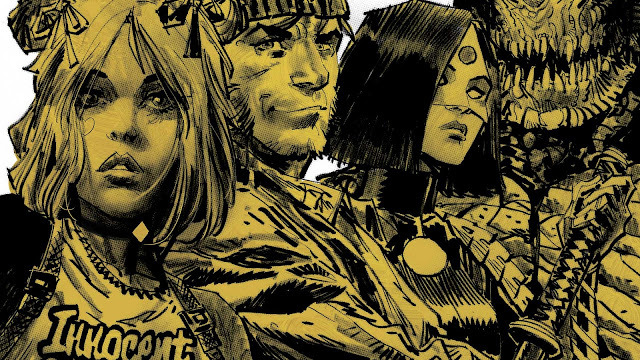 The Suicide Squad have all dried off and knocked the water out of their ears after failing to sink Atlantis in previous issues, so they deserve a little R&R. 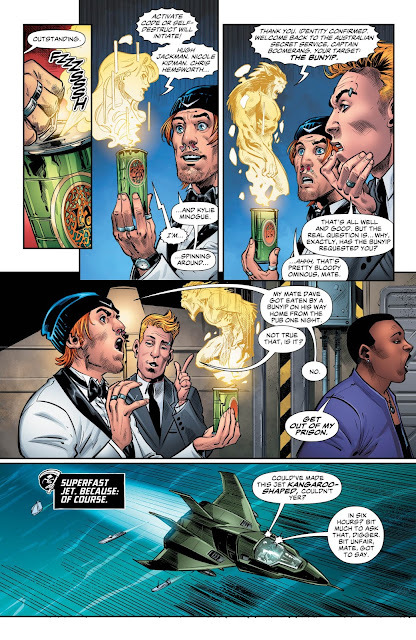 There was one regular member that was conspicuously absent during that mission, primarily because his skill would be useless underwater: Captain Boomerang. What did he get up to while the rest of the team went skinny dipping? 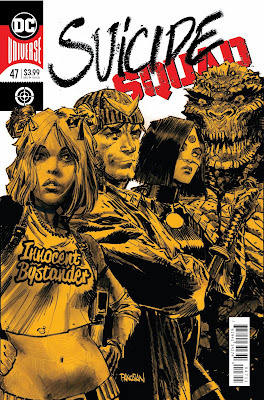 You can find out by reading my review of Suicide Squad #47, which commences now! So there was a thing, about a year ago…in a Suicide Squad Annual, was it? Captain Boomerang told a tale of being a member of the Australian Secret Service that painted him as a suave, talented man of mystery, a real “James Bond” type. I mean, basically a purposeful rip-off of James Bond, but Australian. So there were dingoes and Paul Hogan jokes…look, I don’t remember it exactly, the point is that this issue goes through the same kinds of gags again. While the rest of the team was deep-sea diving in the Atlantic, the Australian government came to Belle Reve to spring Harkness for, uh, official purposes. It’s to break up a big arms deal, but we don’t know that at first. Waller is incredulous that Digger’s story was real in the first place, but wanting to avoid an international incident, she cuts him loose. While wearing a white-jacketed tuxedo, mind you. Then it’s a romp through the Australian countryside and stereotypes, as Captain Boomerang is led on a chase around the continent to find several traps that involve major explosions. After the final explosion, he finally meets the person that’s been taking him on this wild goose chase: it’s his son! This was all a ploy to position himself as the head of international arms dealing and to get revenge on his deadbeat dad. And it almost works, except that Captain Boomerang is able to employ a special flying boomerang and get away, leaving his son and his girlfriend to expire in a massive boom! Naw, he has a change of heart in the end and rescues them. 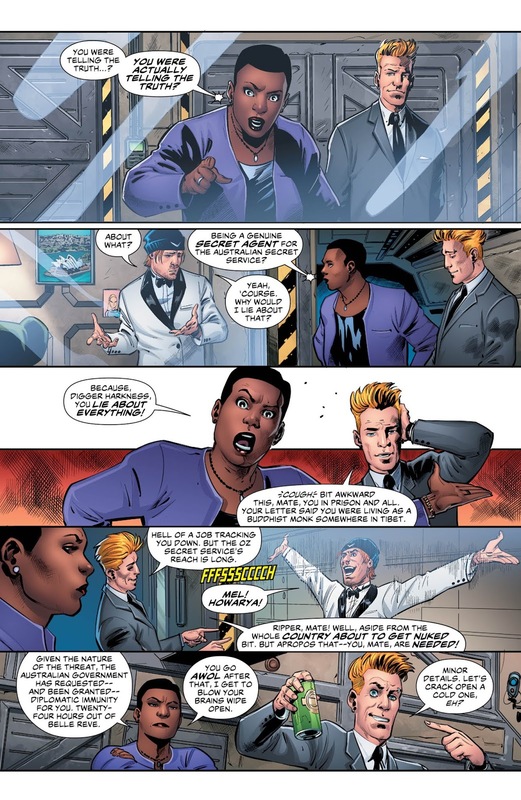 It’s a pretty short story, with some scenes to force sympathy for Digger or his son or both, but this does work as a nice palette cleanser after the slog that was the previous four-issue crossover event (“Atlantis Rising.”) Most of the kangaroo-based humor isn’t great, but considering Captain Boomerang himself is somewhat of a joke, I guess it isn’t supposed to be. This is a pretty fun issue in an uneven series, with some nice splash pages and oversized panels to show off some big ‘splosion action. Eh. There are worse ways to spend four bucks. 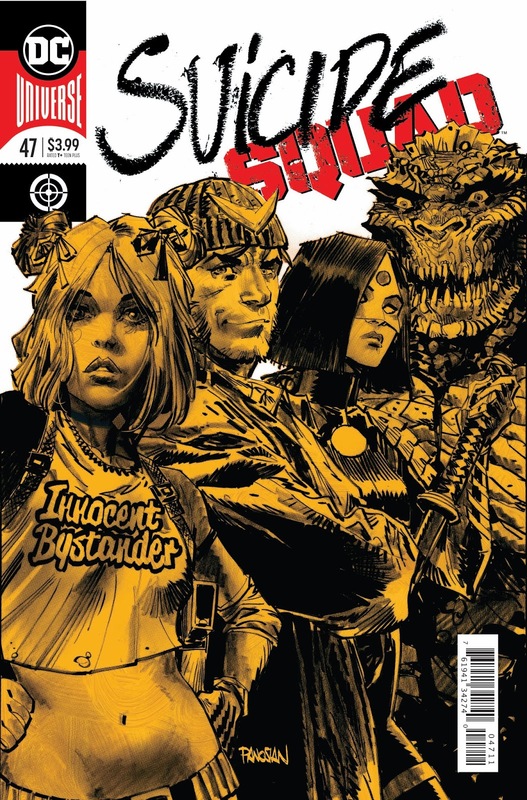 This issue provides a break in the usual action by involving Captain Boomerang in a series of massive explosions. It makes sense if you read it. 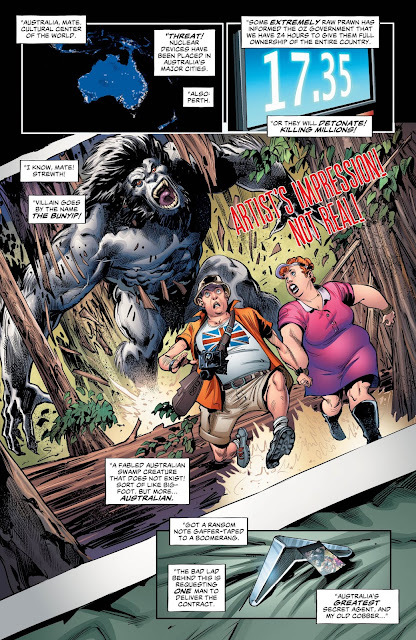 A visually-strong issue that is light on story, which might be just the ticket for this kind of one-off silliness.